FSM Group Group is a leading recruitment consultancy and the umbrella company for James Woodman, EyeTech Solutions, Fuse Engineering and LEDR Executive Solutions. Offering specialist recruitment solutions in Finance, IT, Engineering and Executive positions. Thanks to our very own training department “The FSM Group Academy”, we deliver outstanding sales, business and consultancy training. Our innovative approach over the last ten years has resulted in consistent expansion. We have opened offices in Amsterdam, Antwerp, Brussels, Frankfurt, Ghent, Luxembourg and Rotterdam, with many more to come. Therefore, growth is not only an objective, but a raison d’être. We take pride in having the expertise to match the most appropriate professionals together with the most relevant companies. 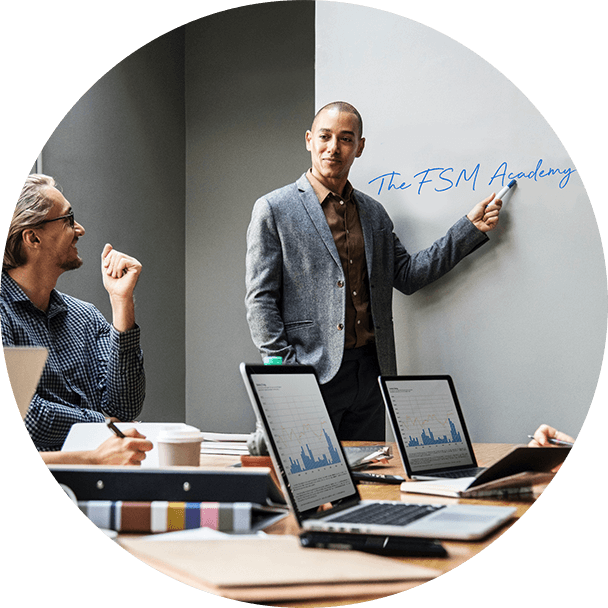 FSM Group offers exceptional business and sales training, in our very own training department ‘The FSM Group Academy’. We believe that ambition, drive, hard work, and ability are key attributes. Therefore, our organic growth strategy allows you to join as a trainee and climb to the top of the profession. At FSM Group it is important for us to continue to be ‘Employer of choice’, we look for individuals who espouse our core values Fun, Meritocracy and Success. Feel Like Working At FSM Group?